Welcome and a Sunshiny Hello! 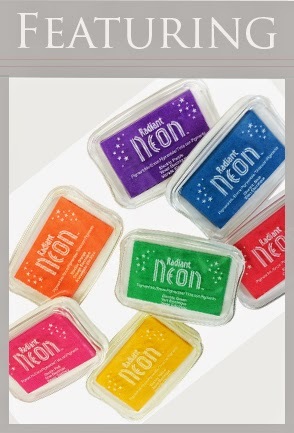 I am thoroughly enjoying the creaminess of Tsukineko/Imagine Crafts’ Radiant Neon inks. They are a dream to blend! Today’s design technique uses Brushstixs for the color blending application. 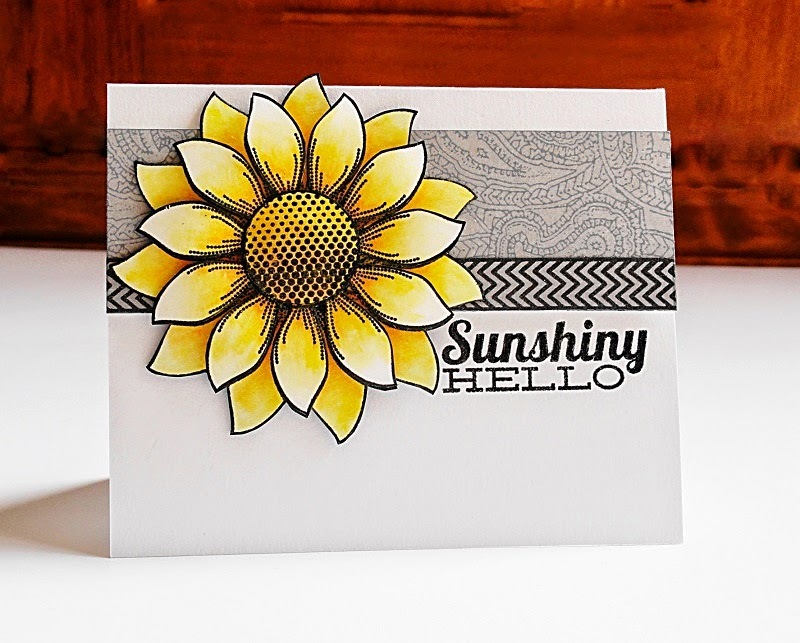 Penny Black’s Sunny Hello was stamped several times on white cardstock in Onyx Black VersaFine and heat embossed with clear powder. Brushstixs were tapped on the Electric Yellow and Electric Orange Radiant Neon ink pads to pick up the color. The ink was applied with a flicking motion. This helped feather the color from the center of the flower to the tips of the petals. The center of the flower was colored using “circular” blending to achieve a deep, solid hue. The layers were then “fussy” cut and assembled using dimensional foam tape. I love the classy look of gray and black paired with yellow so I designed accents in those tones to complement the flower. The decorative paper is Penny Black’s gray Mix & Match Cardstock stamped with Paisley Outline in London Fog Memento. 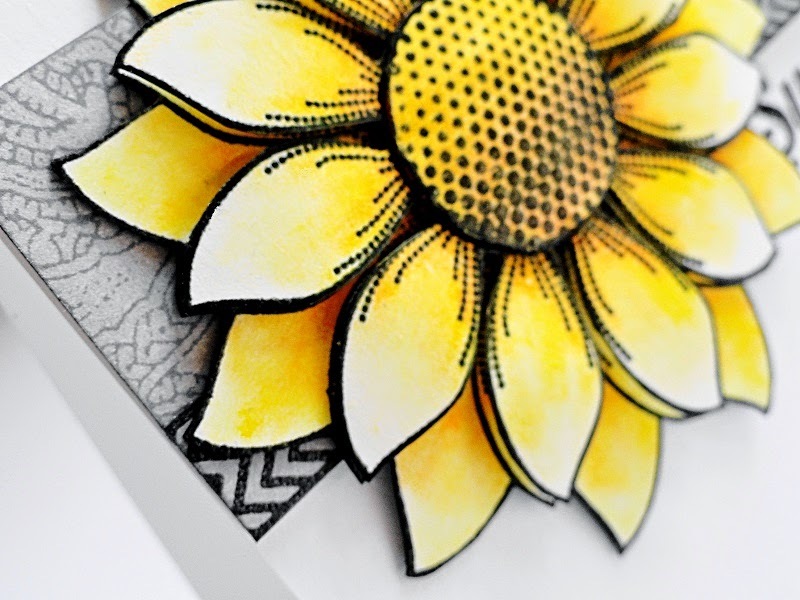 The same color cardstock was used for the washi tape; however, the ink was switched to Onyx Black VersaFine when stamping “Embellishments” and was then heat embossed with clear powder. The sentiment (Sunny Hello) was also stamped in Onyx Black VersaFine and heat embossed.